In November 2004 Martin and I spent a few days on the Somme battlefield in France. He was doing the final research touches for his book The Somme, The Heroism and Horror of War. Along with studying the sweep of the armies, and the public memorials to those who fought, we also spent time visiting the cemeteries and paying our respects. Each Commonwealth War Grave Commission Cemetery has a record of those who are buried there, names, ages, battalions, hometowns. These records give the cemetery depth, and the history of those who fell and are buried there. The graves are aligned, in rows. Some gravestones are so close as to be touching, with no space in between. These are for men who fell together, were found together, died together, and are buried together, their stones as if one stone. 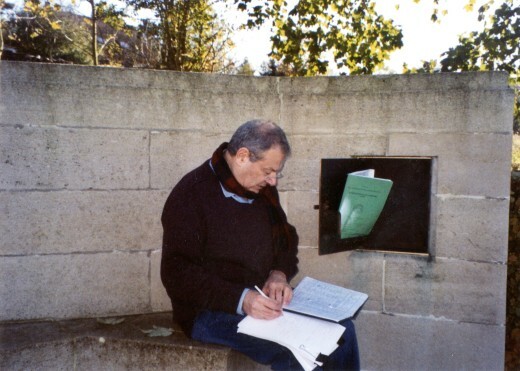 Photo: Sir Martin noting the register of names of soldiers buried in this Commonwealth War Graves Cemetery on the Somme. In Martin’s style, we also visited the Fricourt German Cemetery, near the town of Fricourt. 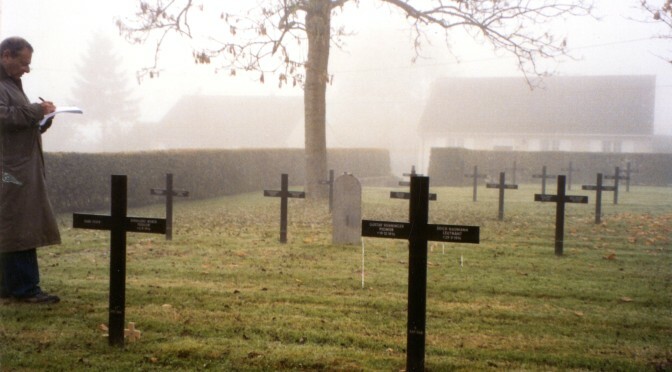 At the German cemetery, the markers, wooden crosses, are aligned geometrically, each one spaced the same from the next. In the cases of Germans buried there who were Jewish, their marker is not a cross but rather a stone on which their names are carved. In each cemetery, Martin noted names, and whatever information he could find in the cemetery register and on the gravestone. It was how he was able to build up his histories, to give the masses of soldiers a human face, a name, a place, a date, a hometown, a special inscription. Also, Martin drew maps, to be able to understand distances and the advances of armies. The maps give us, his students, a way to envision aspects of the battle, the battlefields, the plans, the methods, the successes, the aftermath. Each map begins as a sketch, then it is developed and edited and checked and rechecked. Then the maps finds their way into his book, or one of his pioneering historical atlases. This July is the centenary of the Battle of Passchendaele, the Third Battle of Ypres in Flanders. Twenty-two maps in the 1917 section of Sir Martin’s Atlas of the First World War show aspects of the war in France and Belgium, the Balkans, East Africa, Russia, and the situation on the home fronts of the warring nations. 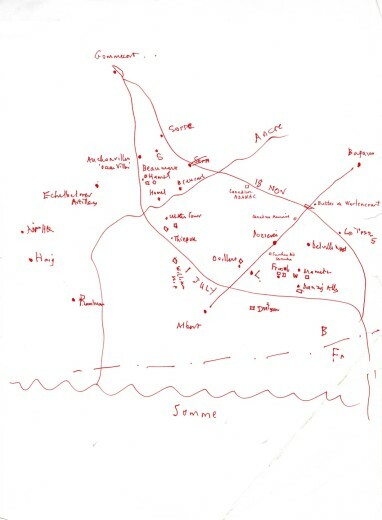 Each map – and many of them drawn by Sir Martin on location – tells a story.